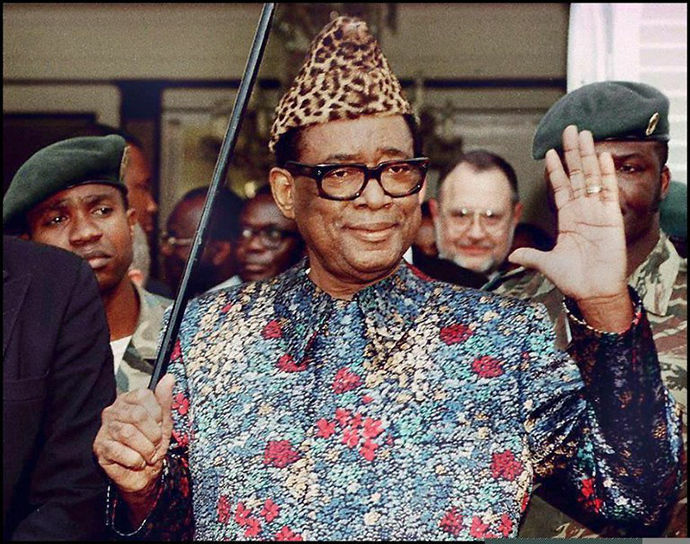 Mobutu Sese Seko Kuku Ngbendu Wa Za Banga was the notoriously corrupt military dicator of the Democratic Republic of the Congo from 1965 to 1997, a period of widespread human rights violations during which he embezzeled $4 billion to $15 billion from Congo's people. Historians are challenged to write about the present. Living through current events, it is difficult to know which developments will have a long-term impact, and which will be rendered insignificant and soon forgotten. Often several years have passed - perhaps even a decade or two - before we gain enough perspective to understand the role of today's news in the grand course of history. The 1990s and 2000s have been a source of great hope and optimism, and also of anxiety, uncertainty, and terror. Shortly after the Soviet Union collapsed historian Francis Fukuyama wrote that "What we may be witnessing is not just the end of the Cold War ... but the end of history as such: that is, the end point of mankind's ideological evolution and the universalization of Western liberal democracy as the final form of human government." Fukuyama meant not that events would cease to unfold, but that liberal democracy as a political and social system to organize our lives as practiced in the United States, Canada, Great Britain, Japan, and the newborn European Union, was the highest evolutionary peak in state-building, and that eventually almost all the nations of Earth would adopt peaceful, democratic governments. At the time, in the wake of the Soviet Union's demise, and the United States' survival as the world's sole superpower, it seemed that might be so. However, the years that followed Fukuyama's proclamation have challenged the notion that we were somehow entering into a global, democratic Golden Age. The processes of economic globalization have drawn the world's communities together tighter than ever before but have given rise to reactionary nationalistic nativism. Old ethnic conflicts, economic demands, and imperialistic ambitions have led to genocides in Bosnia, Rwanda, and Darfur, and conflicts in places like Iraq, Chechnya, and Ukraine. A resurgent Russia under the control of the authoritarian Putin has pushed back against Western encroachment in Georgia and Crimea. Civil wars rage in Syria, Libya, and elsewhere. Terror groups like al-Qaeda and ISIS sow fear through the Middle East and beyond. India, Pakistan, and North Korea threaten international peace with their acquisition of nuclear weapons. The success of liberal democracy is threatened even in Europe and the United States with the rise of a new generation of right-wing leaders. Meanwhile, climate change resulting from humanity's industrial activities imperils life on Earth. Explain how population growth, urbanization, industrialization, warfare and the global market economy have contributed to changes in the environment. Explain how liberal democracy, private enterprise and human rights movements have reshaped political, economic and social life in Africa, Asia, Latin America, Europe, the Soviet Union and the United States. Explain why terrorist groups and movements have proliferated and the extent of their impact on politics and society in various countries.